Get 3 FREE charts and a 20% off coupon code when you join our newsletter! I teach private drum lessons and play drums in many bands, so use of this collection of drum charts is very important. Each chart is well written for use by beginners as well as experts alike. And the wide cross section of songs is great. Keep them coming! 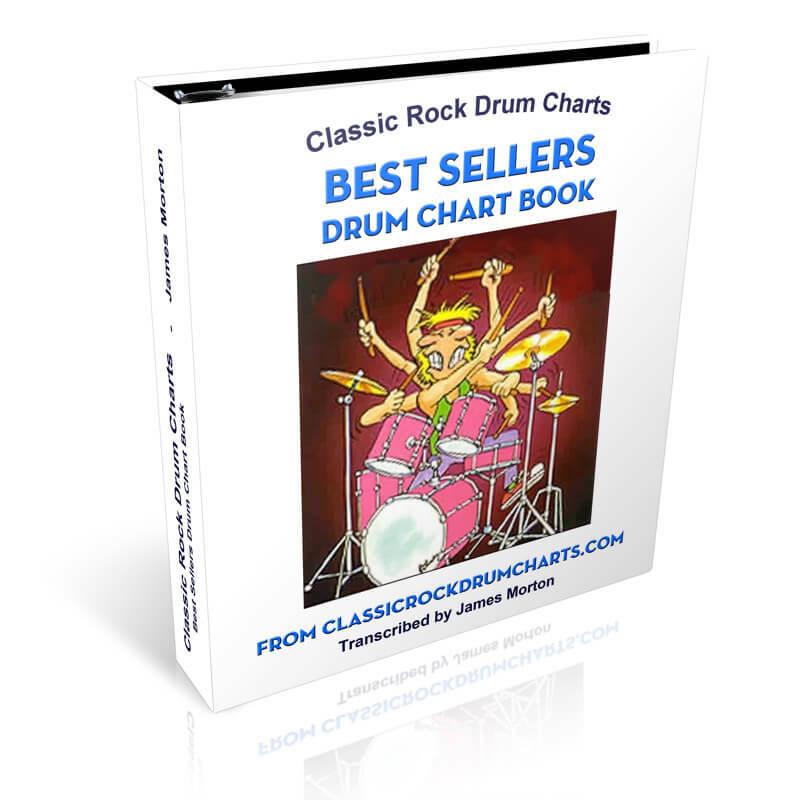 Classic Rock Drum Charts to the Rescue! 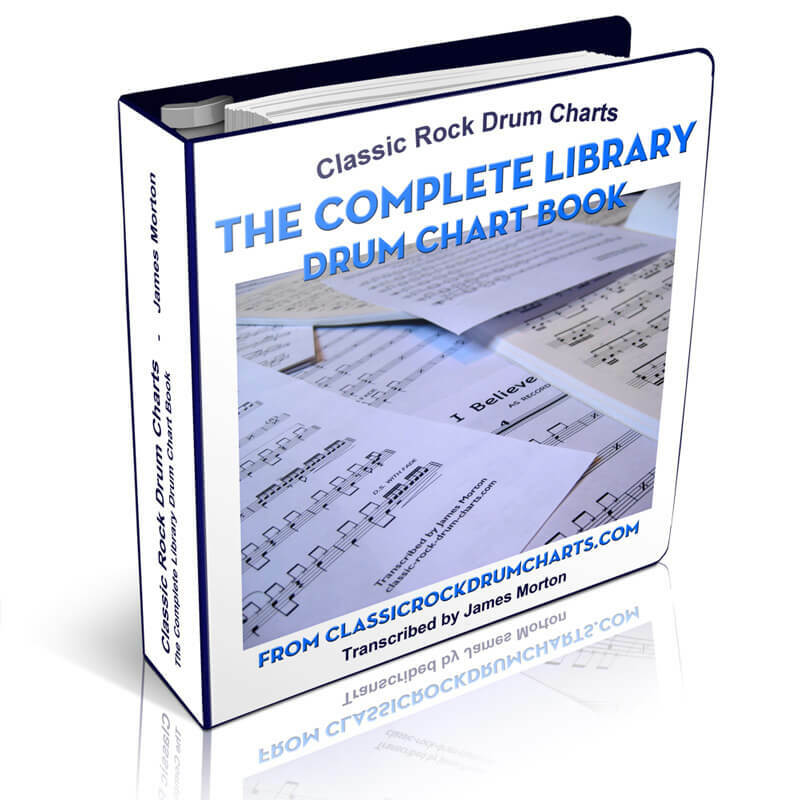 I have been using the Classic Rock Drum Charts collection for many years. There is nothing better to practice and rehearse to than these charts transcribed by James Morton. CRDC was a real jewel of a find a number of years ago as the availability of this style of chart for drums and this genre was nonexistent for the average drummer. When one of my bands picks a new song to play, I go straight to your website to see if you have a chart for it. They have helped me immensely. They are of very high quality, and are presented in a consistent manner that’s easy to follow. Thanks very much! 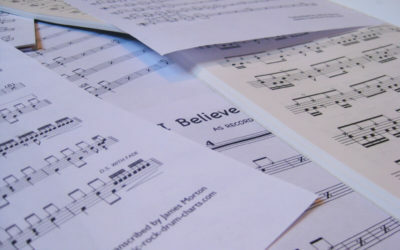 This chart book contains every single song of high-quality drum sheet music we have in our library, in by far the best deal on this site. With this book you get 82% off the individually listed prices of each chart, with the total working out to less than 60 cents per song. When purchased, you get an immediate download of all 336 charts in one printable PDF chart book and one ZIP file containing PDFs of every individual chart for convenient browsing. 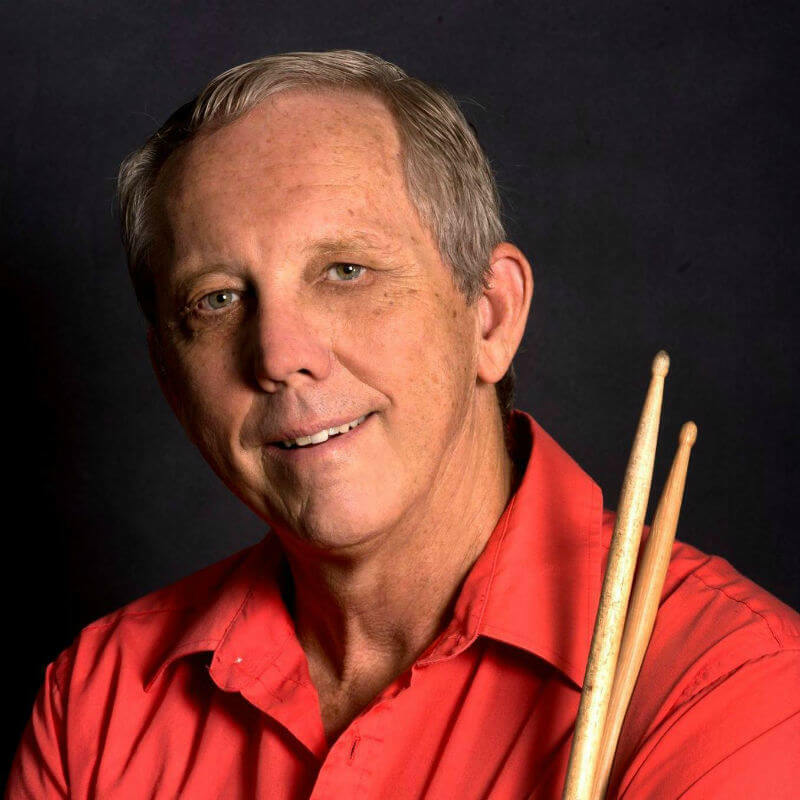 Plus, receive access to all future drum charts we release, through the Complete Library download link in your Classic Rock Drum Charts customer account. This chart book contain the best selling songs from our library since we launched in 2007, including Don’t Stop Believin’, Wipeout, Brown Eyed Girl, 50 Ways To Leave Your Lover, and many more. When purchased, you get an immediate download of our top 100 charts in one printable PDF chart book as well as one ZIP file containing PDFs of each individual chart for convenient browsing. 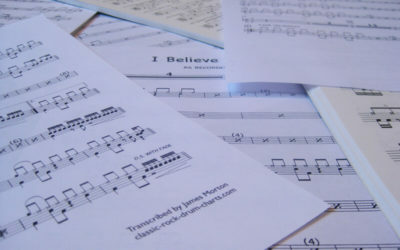 All the drum sheet music found throughout this site are full, note-for-note transcriptions transcribed by James Morton–long-time professional drummer, drum teacher, author of over a dozen books with Mel Bay Publications, and creator of the “Rock Charts” column formerly found in Modern Drummer–over the course of his 40+ year career. 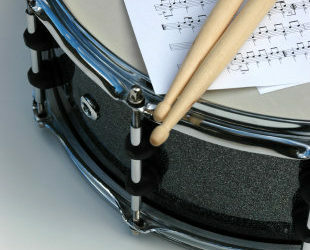 Join our CRDC Community Newsletter and we'll send you 3 free drum charts from our library, immediately! You'll also receive the occasional coupon and update about any new charts we add to the library. You have successfully subscribed! Please check your inbox to confirm your subscription and receive your free charts!